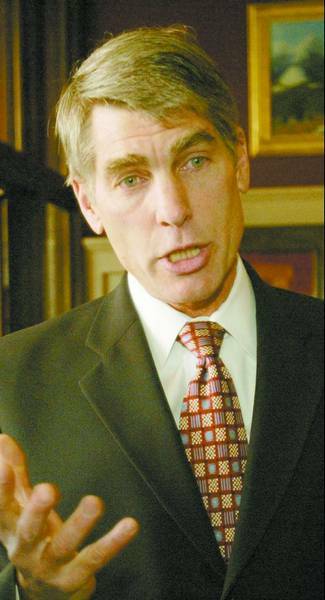 AP File Photo U.S. Rep. Mark Udall said any kind of mass deportation of illegal immigrants would have drastic impacts on Colorado's economy. WASHINGTON – This legislative session, the Colorado congressional delegation are working with the rest of Congress to decide the fate of several bills that typify the extreme range of ideas for dealing with the immigrants flowing into the United States every year. All would drastically change the nature of immigration in a country that was founded on it.Congress’ varying degrees of political responses to immigration – close the border, open the border, give illegal immigrants amnesty, send them all home – are reflected among the Colorado delegates.”I think Colorado is sort of a microcosm of the country because our senators and representatives are on both ends of the political spectrum,” said Jeff Joseph, immigration attorney with Joseph Law Firm in Denver. Most of the House and Senate members agree that some sort of border control and guest worker program are necessary. The issue becomes complicated, however, when considering the order in which these things should be implemented, to what extent and in what manner. The accompanying chart outlines some of the major provisions being considered in the U.S. House and Senate, as well as some in Colorado. BalanceBetween some of the extremes represented in the proposed pieces of legislation, people on both sides of the ideaological divide also stress some kind of balance – as well as attention to the root of the problemRep. Marilyn Musgrave, R-Colo., said she supports legislation that would allow workers to come into the country for agricultural jobs, but also supports promoting democracy around the world as a way to slow the rate of immigration into the United States.”It’s really quite heartbreaking to see people so desperate to get a job and provide for their family that they’re willing to risk their life,” Musgrave said. “It’s a desperateness that many of us cannot identify with.”Immigration firebrand Rep. Tom Tancredo, R-Colo., said the ideal, but unrealistic solution, would be to “have a world in which the economy of each country were such that people were working and able to make a life. That would end most illegal immigration, because it’s economically driven.”Some immigration organizations and political scientists would like to see solutions outside the scope of the current proposed legislation. Stephen Mumme, professor of political science at Colorado State University, said the United States must have a long-term strategy for building up the Mexican economy, for example. William Gheen, president of a national group that works to stop illegal immigration – Americans for Legal Immigration – said the government should enforce existing laws regarding border control, employer sanctions, social services and deportation before new ones are put into effect. Regardless of the approach, Colorado’s congressional delegates agree that immigration policy is an increasingly urgent issue that must be addressed, especially as public debate becomes more heated. “Some think that borders are nonsense and we should just throw them around the planet Earth,” said Rep. Bob Beauprez, R-Colo. “And others want to put up a fence and close off immigration and kick down doors in the middle of the night and send those who don’t have proper documentation out of the country. Somewhere in the middle there’s a solution that I think we have to find and then enforce.”Unity and dissentIn the midst of all the proposals on immigration reform, last fall senators John McCain and John Cornyn announced they would work toward a staggered approach to their bills in 2006. Along with Senate Majority Leader Bill Frist of Tennessee, the senators outlined a schedule that starts with border enforcement and then addresses a guest-worker program.But there appeared to be some consenus that one bill can’t address all the issues, including what to do about the estimated 10 million people already here illegally, according to the Pew Hispanic Center.